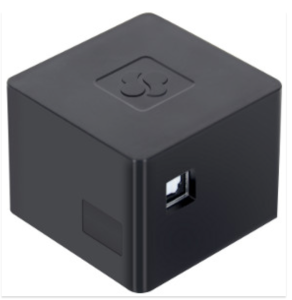 Since SolidRun announced there new line of CuBox-i products, there has been huge interest in them. There have been many discussions about them on the XBMC and OpenELEC forums, as they could be a great device for turning into a XBMC appliance – small, relatively cheap and quiet (fanless design) and significantly more powerful than a raspberry pi. I have been holding off putting this announcement up, as I have been waiting for my devices to arrive and I wanted to test builds before releasing them. Unfortunately it could be a few more weeks until my devices arrive and I have had lots of requests to get these builds up, so here they are. SRaue from OpenELEC has put lots of work into getting initial support ready for these devices. Keep in mind that support for these devices is still very early and should only be considered experimental/alpha at this point in time. There is still lots of work to be done on this, but initial reports seem positive. I would be great to get some feedback on users on what devices you are using. I think the CuBox-i2Ultra and CuBox-i4Pro should be more than cable of being great OpenELEC powered XBMC devices. In theory the CuBox-i1 and CuBox-i2 should be fine too, but I think these may need a little optimisation and could be limited in terms of skin support. If you are running XBMC on your CuBox-i device I would love to get some feedback! My name is Waseem and I’m the marketing manager at SolidRun, thank you and i hope that you will enjoy your CuBox-i soon. Many thanks for sending my devices I received them last Friday, just before I left for a few days vacation. Hopefully, I should find some time later this week to improve the image creation process, so it is easier for users to install pre-built images. Have ordered my CuBox-i4Pro a few weeks ago and look forward to setting it up. Not a big unix expert but can probably kludge my way thru the detailed install instructions as outlined in the forums but was wondering if any progress has been made on creating a install script of sorts that could help us unix newbies. Thanks in advance. I use a CuBox-i 4Pro and it works pretty good. Some Full-HD video formats now and then stutter a bit, but all in all I’m very satified with the system and it’s performance. Thanks for the great releases. I’ve put something together for creating img files for CuBox-i devices. I’m on holiday for the next 2 weeks, but will add it to my builds system when i get back. Looks like my Cubox-i4Pro has just shipped and hopefully will arrive next week. Thought I would check on the status of installation script for Openelec for the Cubox. Do you figure it will forthcoming shortly? If it will be completed shortly I’ll wait to give it a shot with my Cubox when it arrives later next week. Otherwise I’ll try to hack my way thru the manual install. Anyhow thanks in advance. cheers!